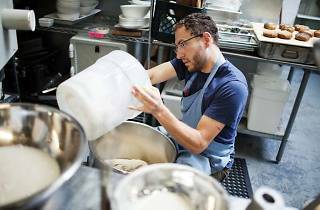 Baron Baking founder Dan Graf was formerly the deli manager at Saul's Restaurant and Delicatessen; now he supplies all of Saul's bagels. The New Jersey native approaches bagel making as a science, following an exacting two-day double fermentation process to achieve the ideal texture and flavor. His method results in a malty, dense bagel with a crunchy, slightly blistered crust. The bagels come in plain, poppy, sesame, salt, everything and onion varieties and are sold sans toppings. 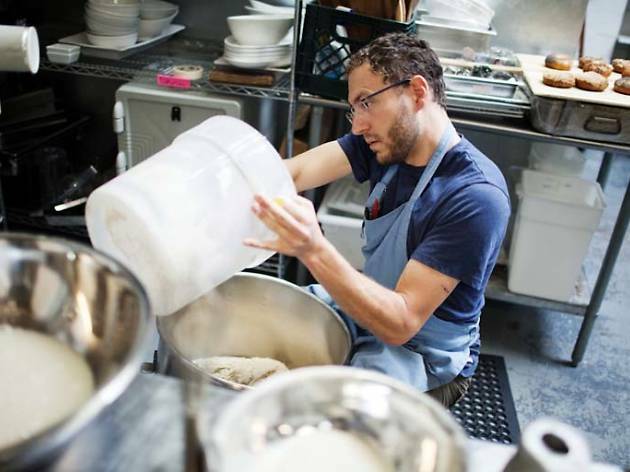 Since Graf is a one-man operation, his bagels are largely sold wholesale to restaurants like Chop Bar, Stag's Lunchette, Espresso Subito and Saul's. That said, those hoping to score a hot dozen can email him directly (dan@baronbaking.com) at least 48 hours in advance and pick them up at the kitchen.